What’s the first thing a potential customer does if they’re thinking of staying with you? They Google you. That’s why it’s extremely important to manage how customers see your business when they search for you. Optimising your Google business listing by using Google My Business will ensure your information is current and complete, and improve your search results. As you can see, the Google map (and associated listings) are prominent in Google’s search results. Many potential customers use this as a tool to search for accommodation. It’s important to keep your listing current because of Google Maps, as a large percentage of your guests will use it to find their way to your property. 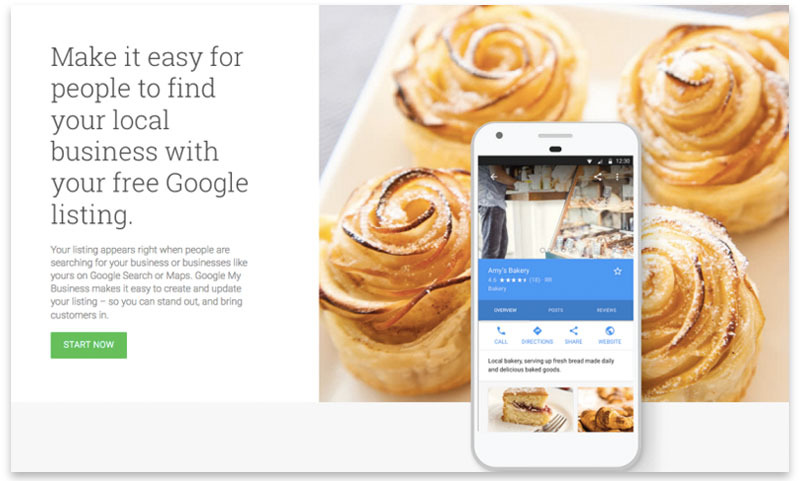 But even better than Google Maps is the new Google listing: Google My Business. Here’s what you need to know. Follow these six steps to ensure that your listing is optimised. Google My Business is the latest tool from Google. It ensures your listing appears when people are searching for your business (or businesses like yours) on Google Search or Google Maps. If you haven’t already signed up, it’s a simple step-by-step process. Simply click on ‘Start Now’ and follow the prompts. 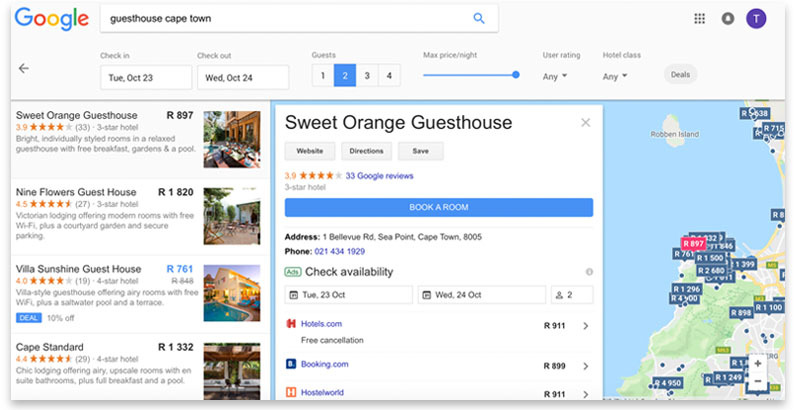 The joy of an updated Google listing is that you can rest assured that your guests – or potential guests – will be able to contact you with queries, or bookings. Make sure your phone number is included – multiple numbers if you have them – as well as an up-to-date email address, physical address and website. Phone number changed? No problem. Change the number on Google My Business and it will update across Search and Maps. You can add as many photos to your listing as you like – an easy and effective way to show what’s unique about your offering. Google reviews are now a two-way conversation. With Google My Business you’re the first to know when you get a new review, so you can respond right away. If you’re already posting news, offers and updates on Facebook, you can now share them on Google My Business as well – and they’ll show up as posts attached to your listing. One of the most exciting things about Google My Business is that it offers Insights: you can find out how people found your business, where they came from, what they were searching for and more. You can also track calls, requests for directions and visits to your website. It also shows you where potential guests are coming from, so you can target them better, and which photos and posts are performing the best. If you want your guests to be able to find you – and find out about you – with ease, then your Google listing is an important place to start. With these six simple steps, you can be sure that you’re taking advantage of all the power Google has to offer.